You are invited to join us in helping spread the Gospel of Jesus Christ through missions work here at First Baptist Church Hilton Head Island. Our Mission Statement: Making Biblical disciples who love, serve, and share Christ with all people. Our church actively engages in the work of the Great Commission through a variety of opportunities, activities and special events. All ages are involved in mission work and missions are incorporated into every ministry provided by our church so that no matter where your interests lie, there is a place for you to participate in helping others to know Jesus. Our Mission Committee directs our church’s mission projects. 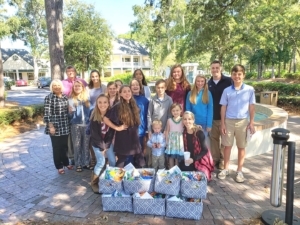 They have directed our church to participate with or to support not only missionaries but also organizations that have a Christian emphasis such as Fellowship of Christian Athletes, Deep Well, Samaritan’s Purse Operation Christmas Child, Pregnancy Center of the Lowcountry, Gideons International, and others. Our church provides outreach opportunities to those outside our church walls with activities like the Easter Sunrise Service on the beach, Trunk or Treat, and others. Our youth and children are also actively involved with hands-on mission projects. Our Missions Committee plans and organizes a wide variety of mission projects of which our church members participate. Donation of items, time and monies are occasionally requested of our congregation to assist those in our community and elsewhere who are in need. Members and guests gladly participate knowing they are sharing God’s love. Our church supports missionaries who are on the mission fields throughout the world spreading the Gospel of Jesus Christ. In addition, our church has chosen two special missionaries to financially support, one working in the United States and one working in South America. On occasion, individual members or teams of our congregation choose to travel in our country or abroad to do their part in spreading the love of Jesus around the world. Support for our mission opportunities is assisted by an Annual Missions Offering collected from the first of November until the last of April each year. *50% goes to the Lottie Moon Christmas Offering for International Missions. You can learn more about the work of the Southern Baptist Convention’s International Mission Board at www.imb.org. *25% goes to the Annie Armstrong Easter Offering for North American Missions. You can learn more about the work of the Southern Baptist Convention’s North American Missions Board at www.namb.net. 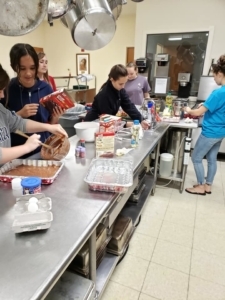 *25% goes into the Missions Budget of First Baptist Church Hilton Head Island and is distributed for mission work locally as designated by the Mission Committee. First Baptist Church Hilton Head Island supports missionaries all over the world by giving through the Cooperative Program of the Southern Baptist Convention. 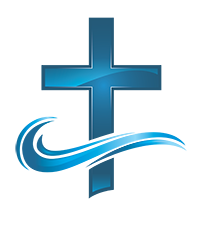 A portion of the gifts given to our church go to the Cooperative Program, an organization spreading the gospel worldwide. You can read more about the Cooperative Program at http://cooperativeprogram.org. Our church believes in the Great Commission and throughout the year, we invite church members and the community to participate in planned outreach events. Many revolve around holiday seasons, when opportunities are provided to participate in local activities as well as activities that benefit many around the world. With an emphasis on bringing children and youth to know Jesus, our church sponsors a popular community outreach event each year in the fall, Trunk or Treat. Trunk or Treat is a real Fall Festival event held in the back parking lot where members decorate their cars and provide games to play. We have fire trucks in attendance for the children to investigate, a bouncy slide for fun, free ice cream and cotton candy,and it all begins with a hot dog dinner. All of the games have Christian themes and lots of candy and treats are given away, but more importantly, those attending are given the gospel message. In the summer, our church has sponsored some camps for outside churches to bring their youth to Hilton Head, stay on our church campus for a week, and learn about Jesus and mission work. We also send teams every summer to the church our pastor planted in Calgary, Alberta, Canada to assist with camps for kids, and we are planning our first vision trip for our partnership with Wycliffe translators in Guatemala. First Baptist Church Hilton Head Island sponsors special events in addition to our annual programs during Easter and Christmas. Often we will host a Christian movie in our Family Life Center or invite special Christian musical guests to perform in our sanctuary. We also host seasonal events and holiday dinners. We invite you to watch for these special events though our Current Special Events tab on our website. Each year First Baptist Church Hilton Head Island sponsors an Easter Sunrise service on the beach. Guests to the island are invited to join us on the beach just prior to sunrise, to celebrate the resurrection of our Lord, in front of the Marriott’s Grande Ocean Resort. You may park at the church and take the bike path to the Alder Lane Beach Access lane next to the Marriott to the beach. On Christmas Eve every year, First Baptist Church Hilton Head Island invites guests to join us for our Annual Christmas Eve Candlelight Service. The service is held in the sanctuary on December 24th.